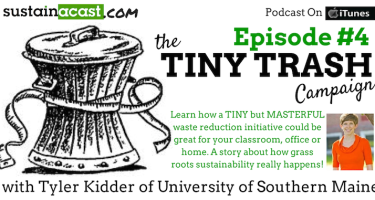 In this episode, I talked with Tyler Kidder – from the Office of Sustainability at University of Southern Maine (USM). 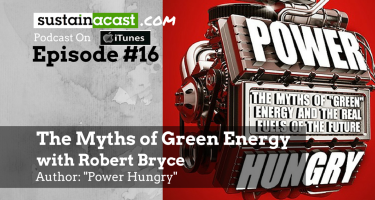 If you think this is just a discussion on recycling, then think again. This is an example of how to implement change within an organization that requires many different people changing one small behavior. 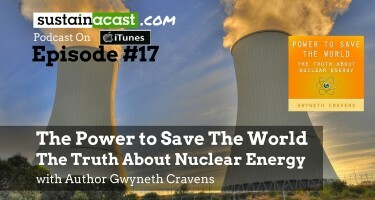 It’s jam packed with the transparency of reality, community resistance, success and learnings, and accompanied by some inspiring words on sustainability! 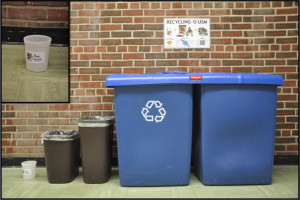 Tyler & colleague Steve Sweeney embarked on an ambitious waste reduction effort at USM, by introducing an initiative to reduce every staff member’s trash can/bucket to only a quart size container. 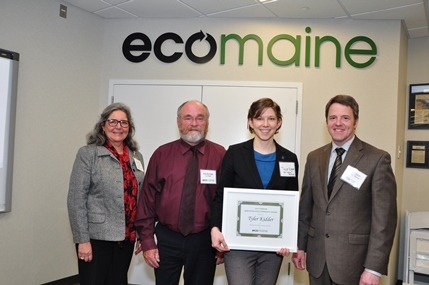 The initiative was appropriately titled “My Tiny Trash”, and was awarded the 2013 Grand Eco-Excellence award from ecoMaine. 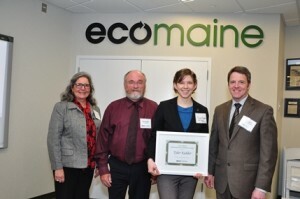 Tyler Kidder (pictured middle) holding the award for eco-Excellence from ecomaine for the Tiny Trash Initiative. As part of the program, Staff received their tiny trash cans to reduce the volume of recycling getting caught up in regular trash, while still providing unlimited access to recycling. So what happens when you make it hard to throw something out, and easy to recycle? 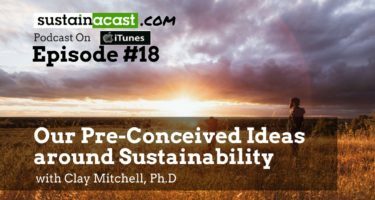 Tyler gives a deep dive analysis of how the program rolled out, what went well, what went wrong, how they handled criticism, how USM benefited and most importantly how their sustainability efforts were impacted. The Tiny Trash buckets are… well…. Tiny. But Effective!